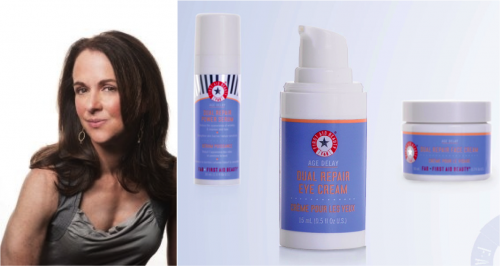 Podcast: Interview with Lilli Gordon, Founder of First Aid Beauty! Tune into My Beauty Binge this week to hear Lilli Gordon, the founder of one of my most favorite skincare companies in the world, First Aid Beauty, tell us how she created this magical skincare line that stops my over-reactive, bitchy drama queen skin from having full on tantrums. Lilli also shares her skincare tips as well as gives us her insights on anti-aging. Download the podcast from iTunes or listen to it streaming on your computer here (it’s the 1st podcast) and it’s free! If you hit the “SUBSCRIBE” button in iTunes you will automatically get all my podcasts! One of the things I love most about being a shameless beauty addict is discovering the kind of products I can’t stop talking about. Whether they were just launched this year or have been other peoples’ cult favorites for decades (but newly discovered by me), when it comes to finding quality beauty products age is of no consequence. 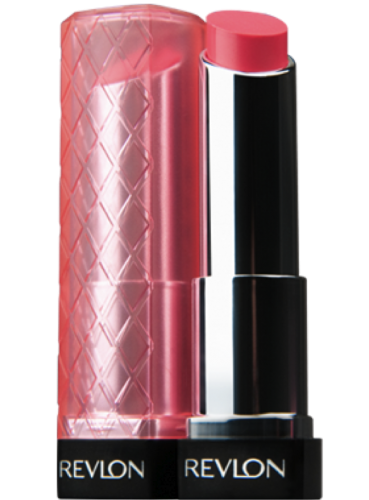 Revlon ColorBurst Lip Butter ($7.49): I’m yet to find a lipstick more hydrating that drops as much pigment as these do. I love that they come in both sheer and opaque shades which makes them fun to mix and layer. You can’t imagine how many women have thanked me for introducing these happy little hydrators to their makeup bags. For those of you who read Beauty Binge regularly, you know I became obsessed with COOLA several months ago after a delightful facial at the The Biltmore Four Seasons in Santa Barbara (yes, I lead a tough life). After the esthetician assured me COOLA ($36.00) is suitable for sensitive skin she applied the matte, primer-like SPF (which by the way I usually say no to after a facial because my skin is so friggin’ sensitive I tend to breakout fast and badly) and upon looking in the mirror I instantly fell in love. You all know I am a preacher of primer — you should be wearing it every day regardless of if you wear makeup. It seals in your skincare and most importantly mattifies and makes your skin look airbrushed. COOLA has that dry touch feel of a good primer with the added bonus of being an organic mineral anti-aging SPF. You can imagine my elation when I found out COOLA came out with a TINTED version of their matte SPF! The tint is one of those shades that looks good on every skin tone and helps to mask any imperfections like redness or blemishes. Defend your skin from both the sun and environmental pollution with a chemical free, mineral matte shield. This unscented, lightly tinted formula delivers broad spectrum SPF 30 protection as it fights the damaging effects of free radicals. Antioxidant-infused Borage Seed Oil and Evening Primrose Extract will rejuvenate skin, targeting early signs of aging. Shea Butter hydrates and softens sun-exposed skin while restoring elasticity. Plankton, a naturally water-resistant phyto-protector boosts SPF protection, making this the perfect beach companion. Ladies, BB Creams are for the uninformed masses… You want a multi-tasker that’s great for your skin? Get yourself COOLA – Face SPF 30 Mineral Sunscreen Matte Tint and thank me later. I can’t get over this f’ing heat! Okay, I know I just wrote about a melt-proof eye, but with this ungodly heat you’re going to need more than just a waterproof eyeshadow stick. We’re officially in crisis lock-down mode. When my husband and I traveled to Columbus, Ohio this past week for the 4th, I was genuinely traumatized (and I hate to admit it but visibly sweating, gross!) by the humid 97 degree conditions. We went to my 20th high school reunion (yes, I’m old) at around 7 pm and I was a disaster by 7:07 (and by disaster I mean fellow classmates were picking little pieces of napkin off my sticky face because I was couldn’t stop blotting with taco truck napkins). BUT despite the Vietnam-like conditions, guess what?? MY MAKEUP ENDURED! I received a sample of DERMADoctor Photodynamic Therapy (light-activated laser lotion with SPF), with one of my many recent gluttonous gift-with-purchase episodes. I had just read the “Best of Beauty Breakthrough 2011” in Allure, where they had a panel of cosmetic chemists and dermatologists analyze the data and the products. The DERMADoctor lotion was declared “the real deal,”and I thought, something big is happening here. Seriously. If this lotion can really turn the destructive sun rays into collagen-building anti-agers, I wouldn’t have to berate myself anymore for loving sunbathing! I saved the sample for my trip to Hawaii. I’m in the Big Island right now with my husband’s amazing family for ten days. Pure bliss (Oh, and did I mention I am five minutes from one of my Top 5 Spas of all time? We will get into that later in the week). Right now I’m sitting in a cushioned chair on our lanai, listening to the palm tree leaves click in the wind, and the lull of the waves lapping against the rocks, trying to stay out of the sun for a few hours (since I just baked at the pool during the forbidden noon hour). I can’t help that I love basking in the warmth of the sun, especially lying on a beach or floating in the pool. I know, you’re disappointed in me. You thought for certain I would be one of those responsible beauty addicts who wears floppy hats (I have a fabulous one, but of course I forgot it), lays in the shade, and wears a minimum of 55 SPF. I should be that person. My mother-in-law and sister-in-law are those people, but somehow I still slather on the 30 and turn my beach chair to face the sun. I tried the DERMAdoctor lotion yesterday morning over my First Aid Beauty 5 in 1 Face Cream SPF 30 ($38) and waited for the burn. Nothing. Not even a tingle. I sealed the product with my Bare Escentuals BareVitamins Prime Time and headed for the pool. I spent a few hours in the sun, but my skin remained calm. I can’t say I noticed any difference in my skin texture or fine lines, but if the doctors say it works and it obviously doesn’t hurt, why not? I am hoping there is a nearby Sephora so I can continue my light therapy. I promise I won’t overdue it and use this as an excuse to spend more time in the sun. And, I promise I won’t let my floppy hat become the Velveteen Rabbit in my closet. I figure it makes the most sense to share my splurges with you on Sundays since the chances of my husband tearing himself away from football to read this are about as good as La Mer going on sale. So for my inaugural Sunday Splurge post I am sharing Amore Pacific Time Response Skin Renewal Foundation SPF 18 ($90) because I simply cannot shut up about it. Full disclosure: I’ve never been a huge fan of foundation. I never liked the way it sat on my sensitive skin and I always felt like my pores couldn’t breathe. The only time I’ve really worn foundation is when I’ve gotten my makeup professionally done for a special event. Last month, when Maria was fervently dotting concealer ALL OVER my red splotches she suddenly stopped and gave out a long sigh, “Janna, I think it’s time you started using foundation on a regular basis.” I wanted to slap her. How dare she? I’ve always gotten compliments on my skin! I mean, yes, in the past five years my skin has gotten more sensitive and prone to redness, but to suggest foundation?? I’m pretty sure I hissed at her. She was undeterred. “Janna, you have a lot of redness and there are tons of brands that are great for sensitive skin.” Whatever. I wrapped myself in my blankets of denial and forgot about it until I recently got a facial at Amore Pacific in Soho. The esthetician said the same thing to me (I’m pretty sure I hissed at her as well). She explained that their foundation is more like a pigmented skin treatment. It has calming botanicals and antioxidants like Green Tea and has SPF 18. She assured me it wouldn’t clog my pores. I figured the ultimate test (and sacrifice) would be to wear the foundation home after my pores were still open and vulnerable post-facial (Do not try this at home! Never apply makeup after a facial). Obviously, (given the headline of this post) the foundation did not irritate my skin in the least. Not only did the foundation completely melt into my skin, I have never seen my face look so luminous and air-brushed. I love that you pump the hygenic top once and a single-use amount comes out. After primer, I dot my clean fingers with the foundation and use small strokes to blend it all over my face. I don’t even need a sponge to blend it! It gives such a glow without any feeling of greasiness. Talk about longevity… I applied it Friday morning at 6 AM in Denver. I was subjected to dry air all morning. Then I raced through an airport and got on a four hour flight back to NYC. I was home at 8 PM and MY SKIN STILL LOOKED FLAWLESS!!! So for those of you who are like “I just don’t wear that much makeup and I can’t imagine wearing foundation every day,” I assure you this foundation will change your perception forever. It is worth every penny. I personally wear shade #104, but you should either go in person to Neiman Marcus, Bergdorf Goodman, or Amore Pacific Soho to choose your shade. You can also buy online at Nordstrom. Leave your husbands shouting at their teams on TV today and go get your Sunday Splurge on! A multipurpose, antiaging moisturizer with SPF 30. Supply your skin with all the ingredients it needs to stay young and vibrant. This formula uses five active facets that work together to keep your complexion healthy. – Zinc Oxide sits atop the skin’s surface to reflect harmful ultraviolet rays. – Bisabolol offers soothing properties. – Alpha Arbutin evens out skintone. – FAB Antioxidant Booster (comprised of licorice root, feverfew, and white tea) combats free-radical damage. – Homeostatine® (a complex of two natural botanical ingredients) prevents and reduces wrinkles by protecting younger collagen fibers from unwinding and becoming brittle. Appropriate for all skin types, including the most sensitive skin, this blend is allergy tested, fragrance free, and dermatologist recommended; it excludes harsh chemicals and colorants. The SPF is strong enough that it lasts all day. Mind you, if i know I’m going to be exposed to sunlight more than gazing out an office window or a short Starbucks run, i will pat on Supergoop 30. You can never be too careful when it comes to SPF! All I know is that this face cream seems to be one of the only multi-tasking powerhouse beauty products that make the cut in all seasons and weather conditions.